As far as paint goes she is what you expect from a figma, her paint work is good with only one mistakes to be seen, which is easily remedied by a cotton bud and some nail polish remover. That one error however is made up for in the detail of her stockings and the dapple on the underside of her skirt, both of which are done in gloss paint which is a rarity in figmas. 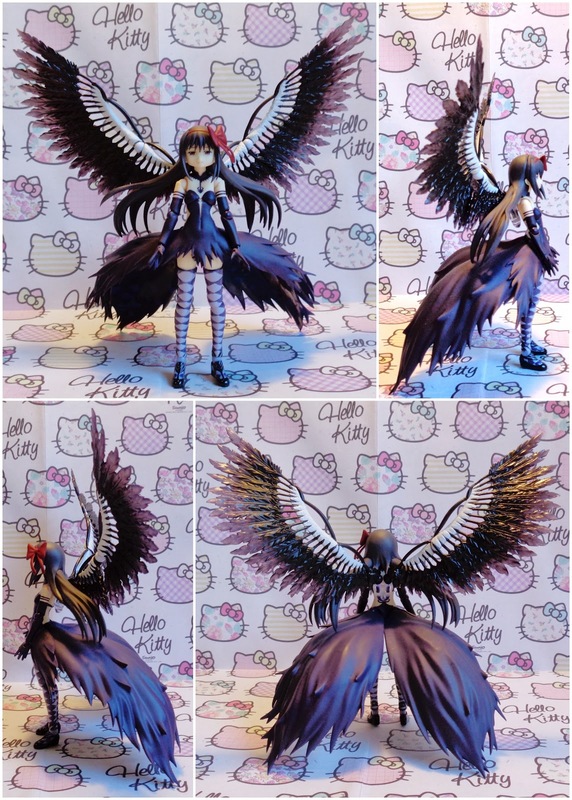 The sculpt is also what you would expect and more as her wings are very impressive indeed, the feathers of which are made of semi-transparent plastic which fades from a light purple to a black. Regarding character accuracy from the pictures I have seen she looks very good to me. Then there is the articulation, she uses the all the standard joints with the old wrist pegs, and as per usual in only a few places is her movement restricted by the sculpt, she cannot look up very far which is a common problem with figmas. Extra articulation includes her hair which is in two sections each with their own joint and they allow movement up and down and side to side as well as some rotation. Her skirt is also in two sections each with their own joint allowing the same movement as her hair. And lastly there are her wings which have a joint on each where they attach to the clear back piece and another half way along their span. These offer a wide range of movement, both forward and back, up and down, as well as rotation. 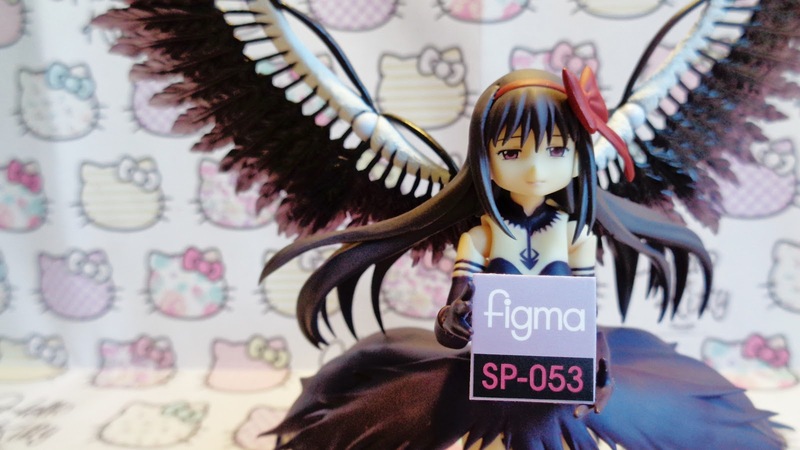 The first accessories Homura comes with are two face pieces the first of which is her default smiling face and the second is a sombre face. 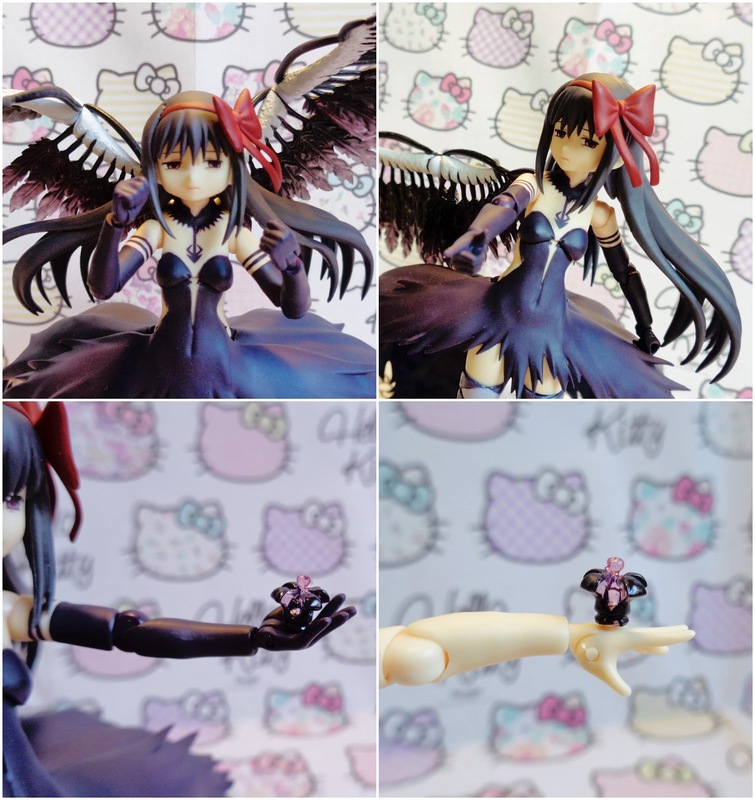 As for hands you get open hands as default, a pair of fists, a pair for holding items, a pointing hand, a hand for holding Kyubey, and finally hands for holding her dark orb, both a gloved and an un-gloved version for using with the other figma version of Homura. Her dark orb is included and is made from semi-transparent plastic with some gloss paint giving it a very jewel-like appearance. 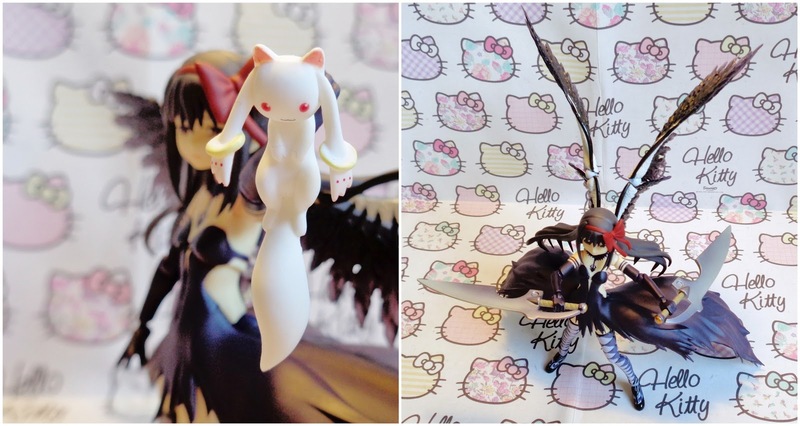 A version of Kyubey is also included sculpted to look as if he is being held by the scruff. 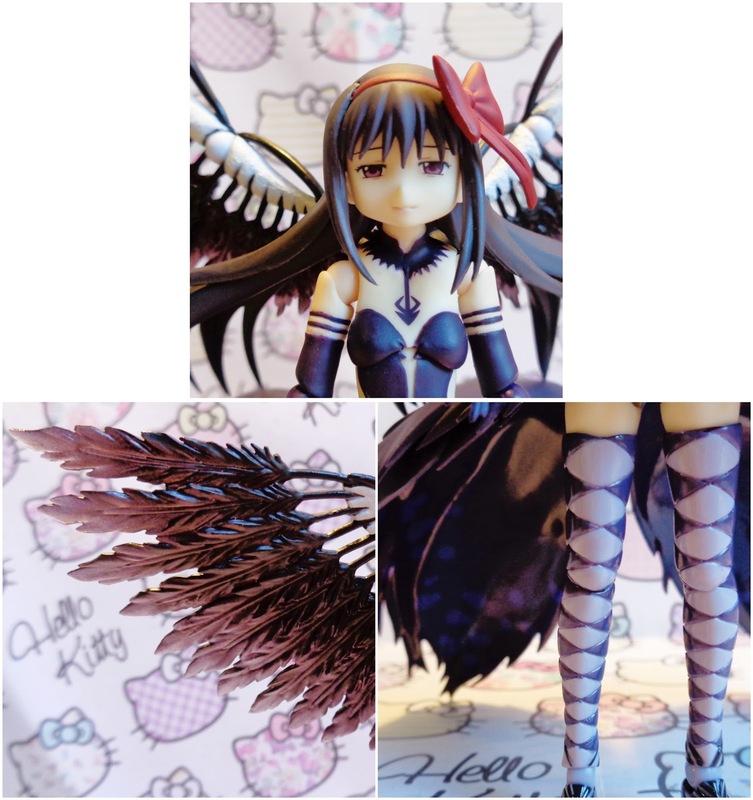 Overall I think Devil Homura is a great figure, though a little light on accessories her wings alone make up for it and they are compatible with almost any other figma. If you are able to locate her for a reasonable price I highly recommend picking her up, whether you are a fan of the series or not, because she is a striking figure in and of herself so will look good displayed in anyone's collection.